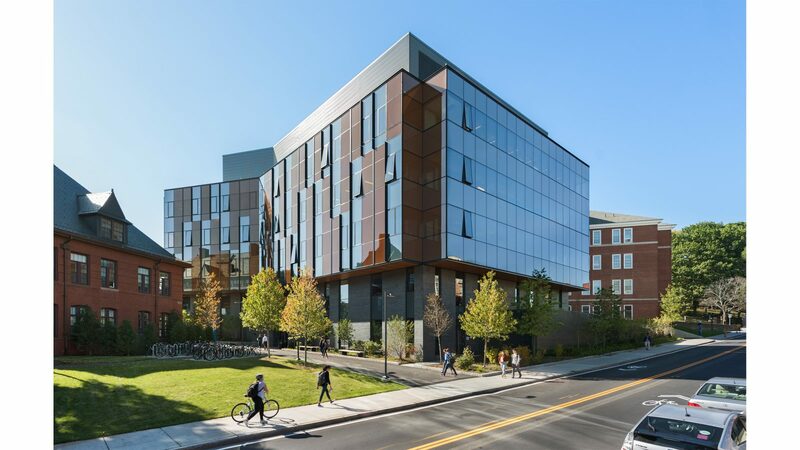 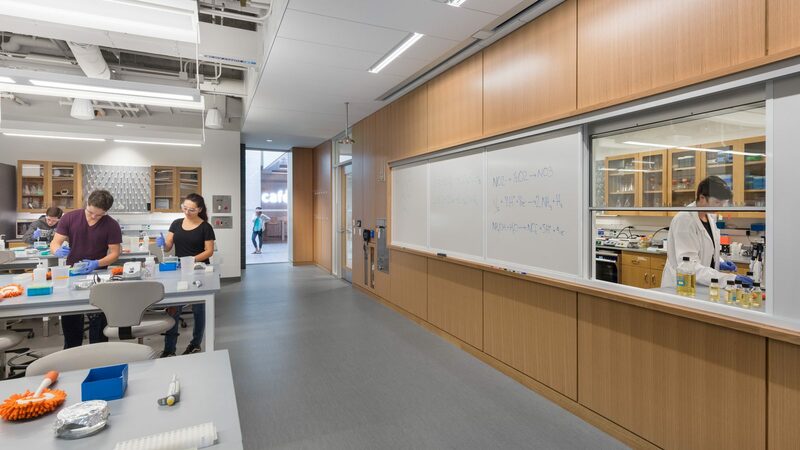 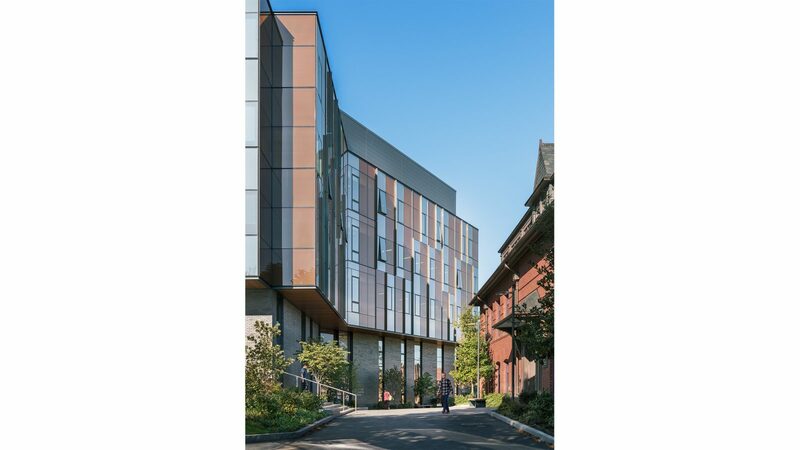 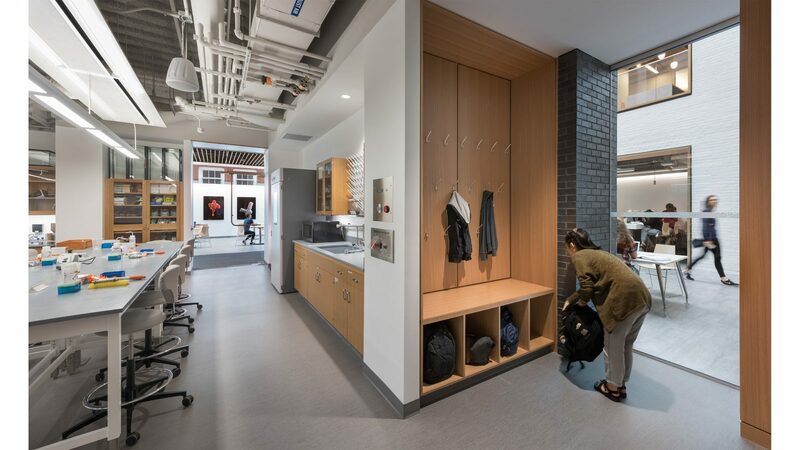 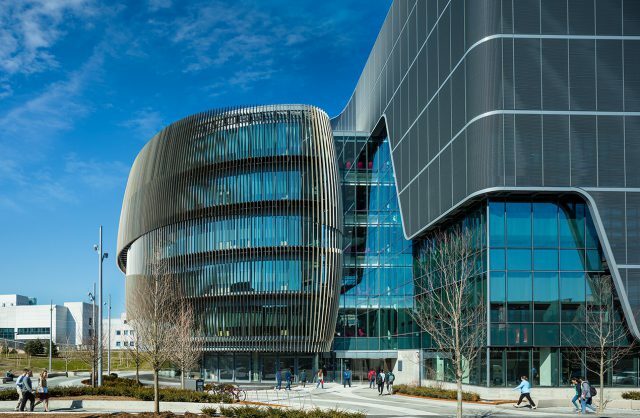 The new Science and Engineering Complex is the product of a strategic infill addition that creates space for interdisciplinary research while connecting two historic buildings to form a dynamic, community focused, academic precinct. 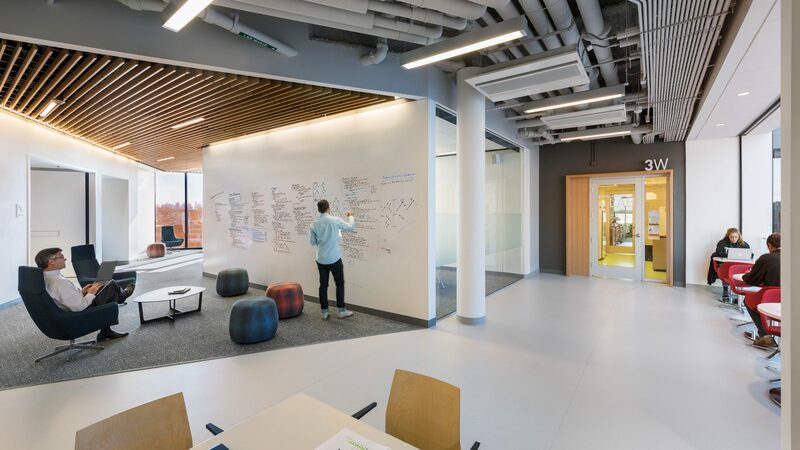 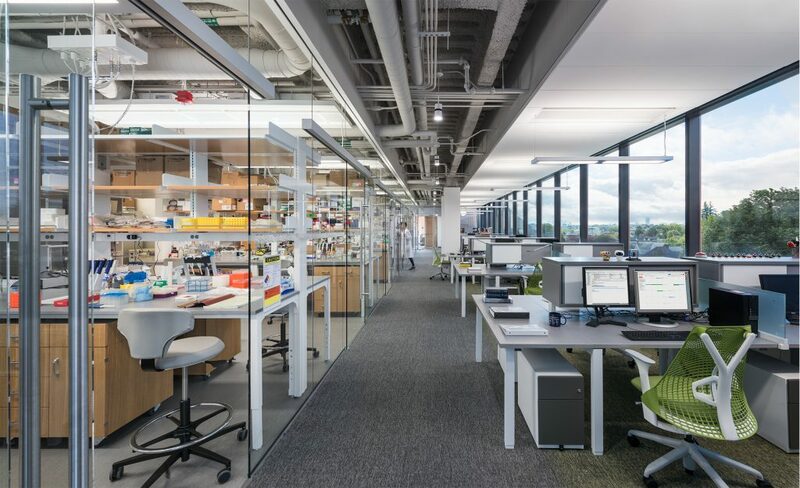 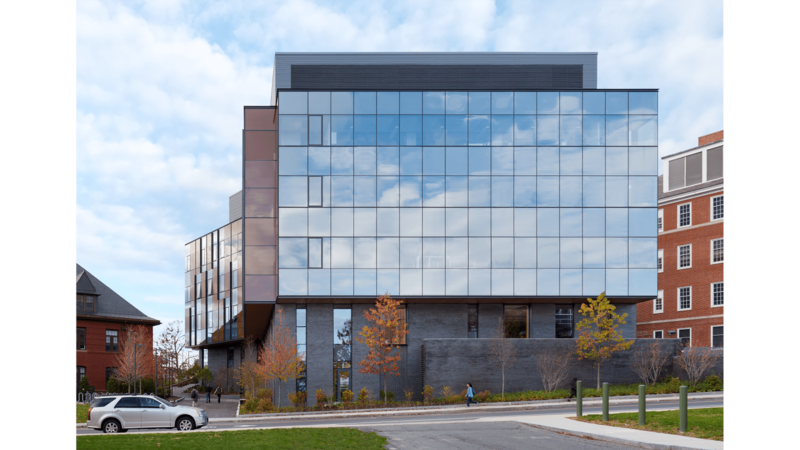 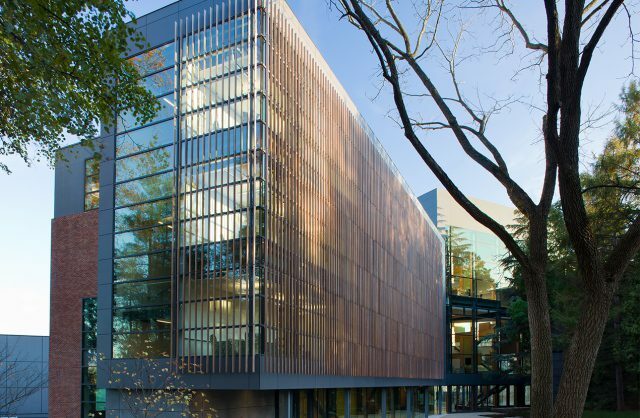 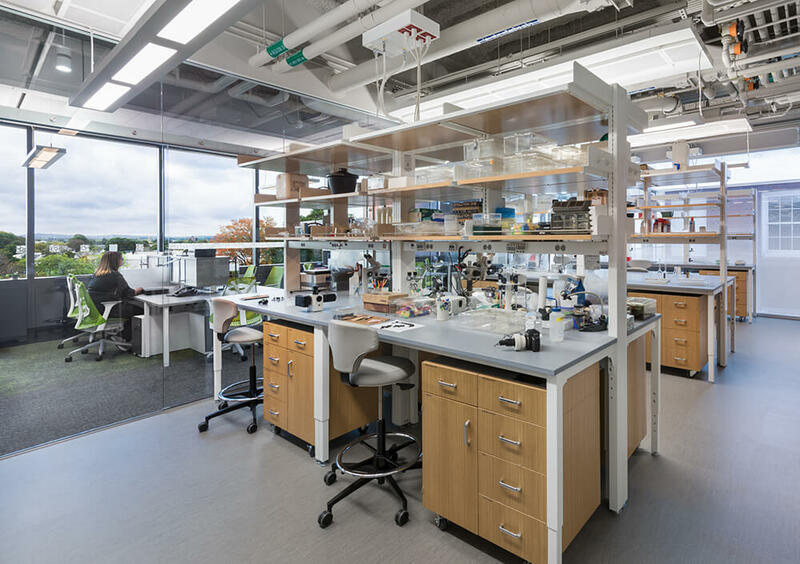 The complex addresses the University’s desire for a critical mass of research and teaching space to support cross-departmental collaborations in an environmentally responsible manner. 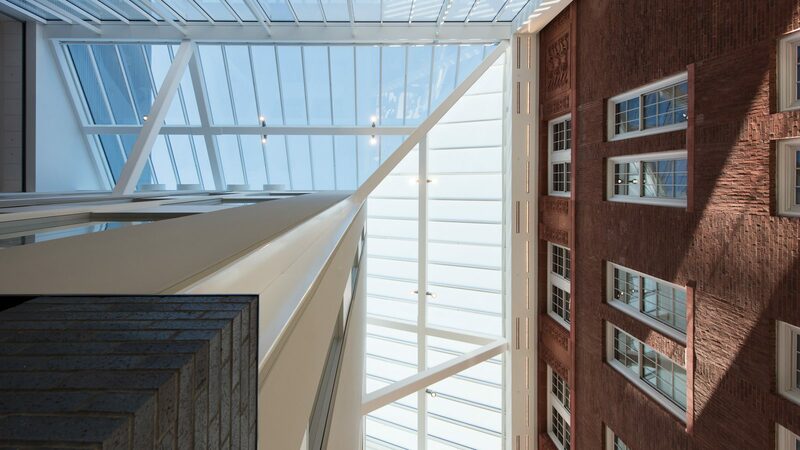 A glass box floats effortlessly between two historic red brick bookends. 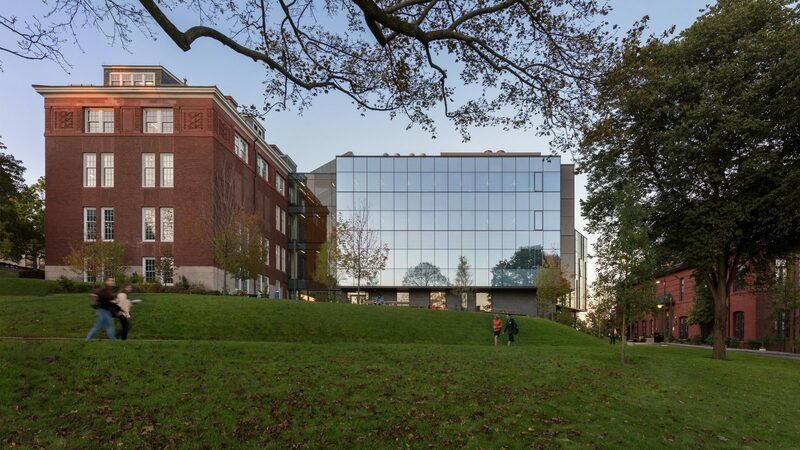 Its taut skin cradles and reflects its surroundings, complementing the brick and lending quiet dignity to the existing buildings. 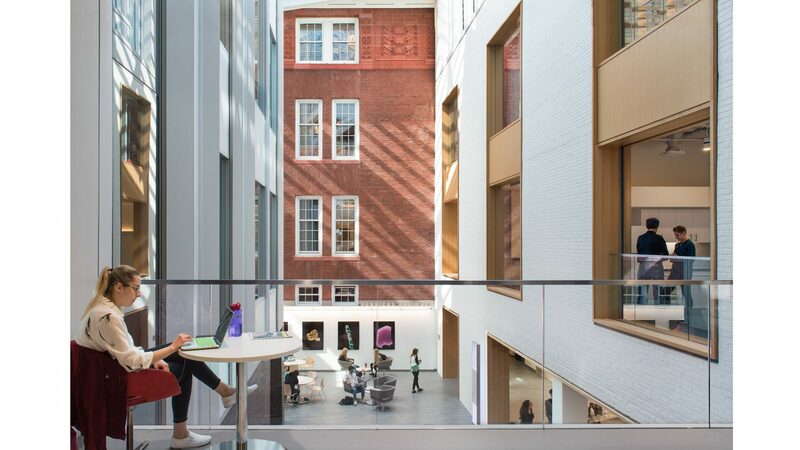 Rather than relocate or demolish one of the significant historic buildings on the site, as the client’s project brief had initially proposed, the solution was to introduce a smaller addition that strengthens the existing buildings through adaptive reuse, creating an integrated complex. 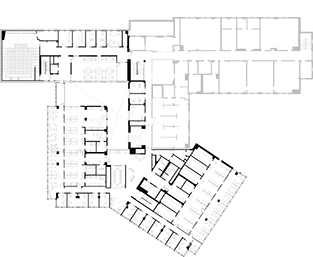 A nested series of interior and exterior spaces heightens awareness of the existing buildings, their different geometries experienced as a series of transparent layers that weave together inside and outside, old and new, each dependent on the other. 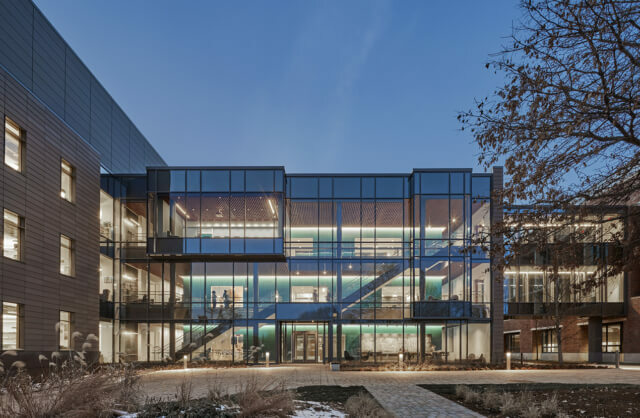 The addition acts like a battery pack, providing new life and infrastructure to underutilized historic structures, while simultaneously creating a dynamic, integrated high tech hub for open communication and cross-pollination. 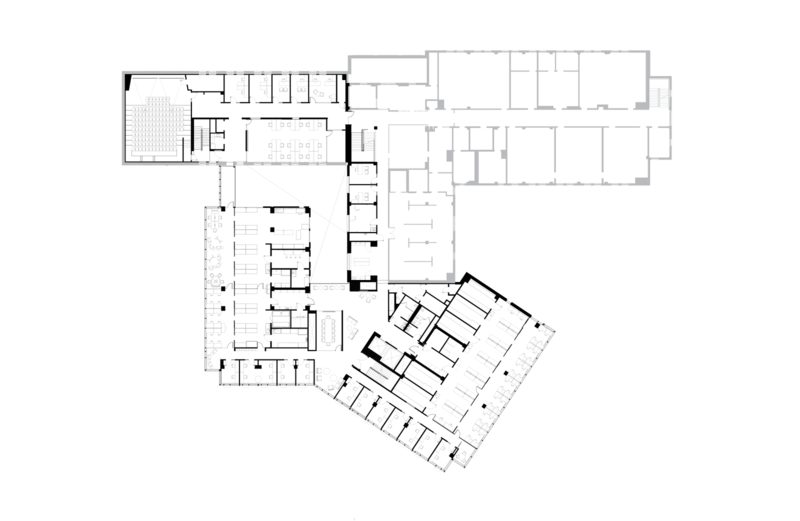 The complex thereby serves as the academic and social heart of a precinct much larger than itself. 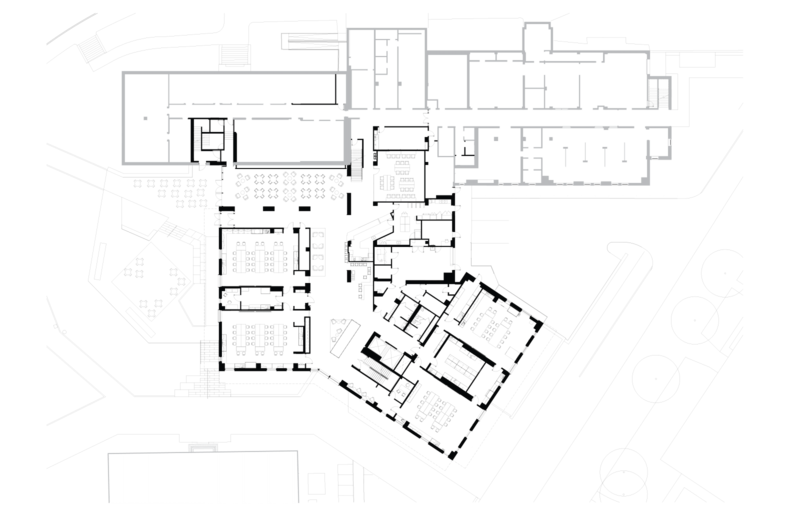 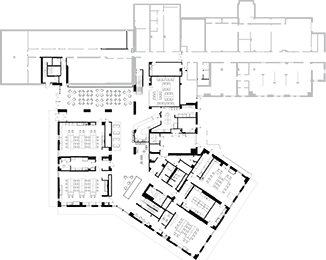 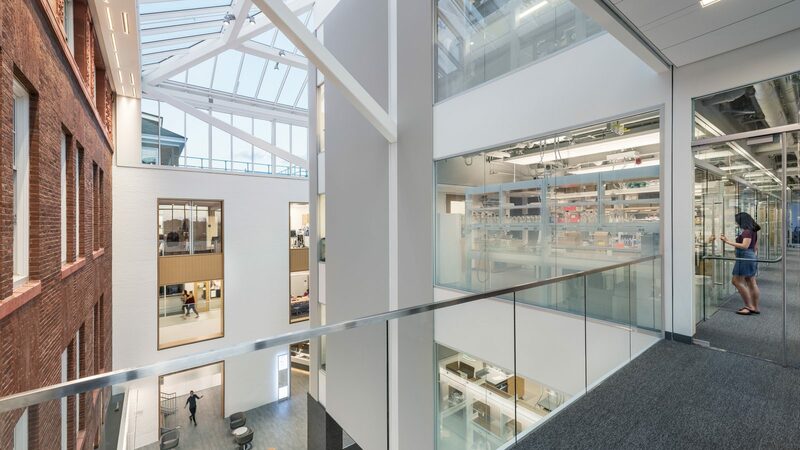 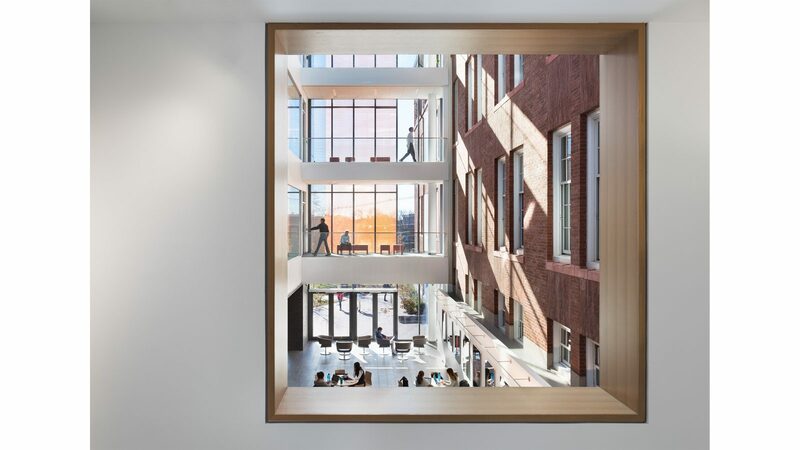 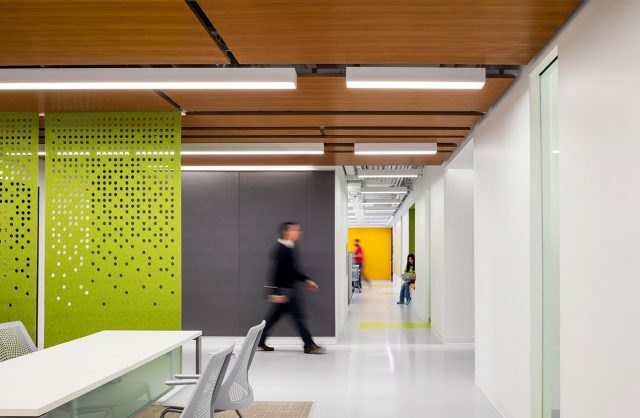 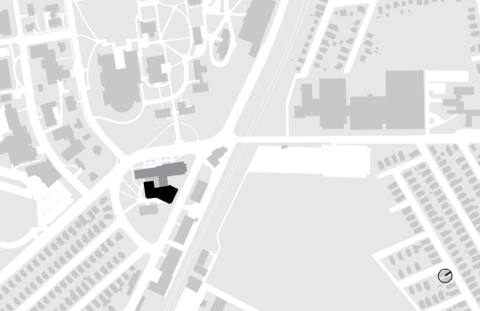 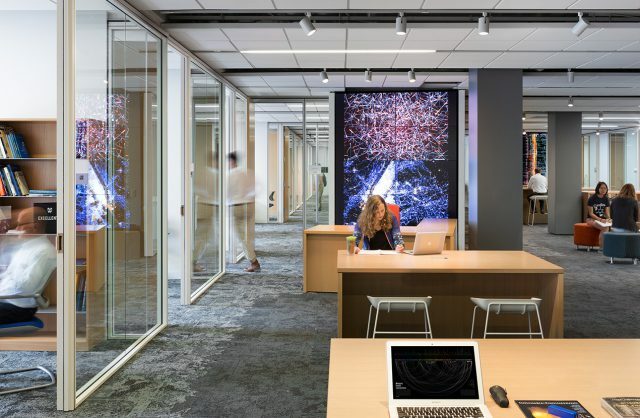 The spaces between new and existing buildings become as important as their prominent public faces, generating an animated campus system of movement that highlights science and reinforces one’s connection to place.